Nicholas Sebastian Naioti is MR NASTI, a singer-songwriter exploring themes of life and death through psychedelic disco. MR NASTI took shape when the Murfreesboro, TN musician moved halfway across the country to embark on a month-long artist-in-residence program in Fairfield, IA at local music venue The Beauty Shop, culminating in the creation of a rock musical production – details on the project can be found at Portals.com. After completing the residency, Naioti remained in Fairfield, bursting onto the thriving Iowa music scene as MR NASTI. 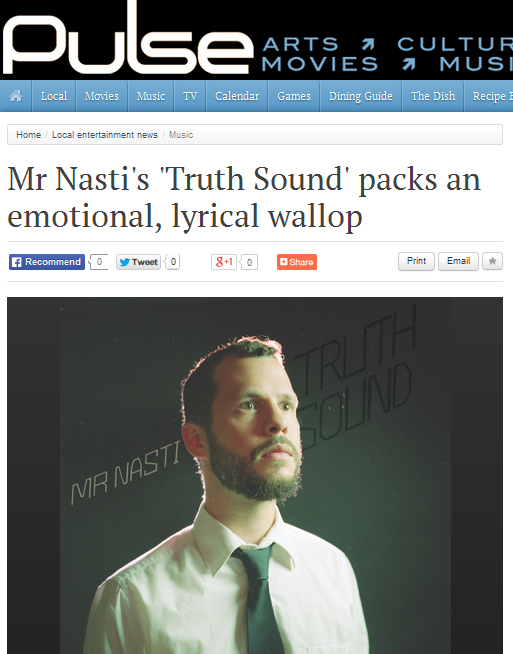 MR NASTI is releasing his second full-length album Truth Sound on Maximum Ames Records on September 23rd, 2014, on blue vinyl and downloadable formats. Truth Sound features guest musicians that dig deep into Iowa’s richness, including Anna Gebhardt (Annalibera), Ryan Stier & Joel Gettys (The River Monks), Adrien Daller (Trouble Lights), plus Nashville’s Spoken Nerd.